Free I.T. 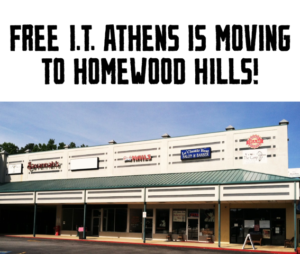 Athens is Moving! Right now, Free I.T. 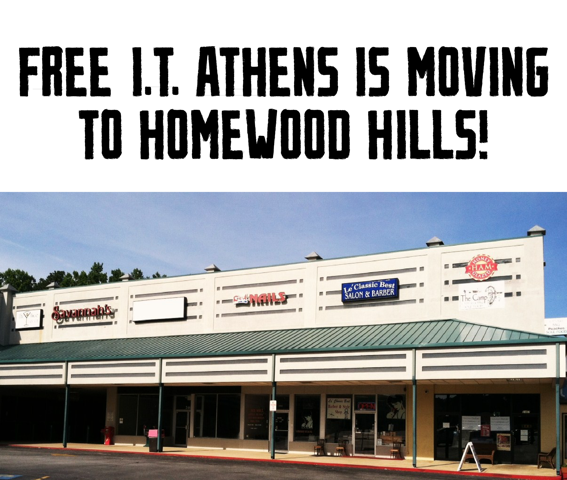 Athens is still open at 160 Winston Drive, but we’re planning a move to Homewood Hills shopping center this month. Check out some pictures of the new spot pre-move in this Facebook Album. Stay tuned for more information! I’ll be sure to keep y’all updated.